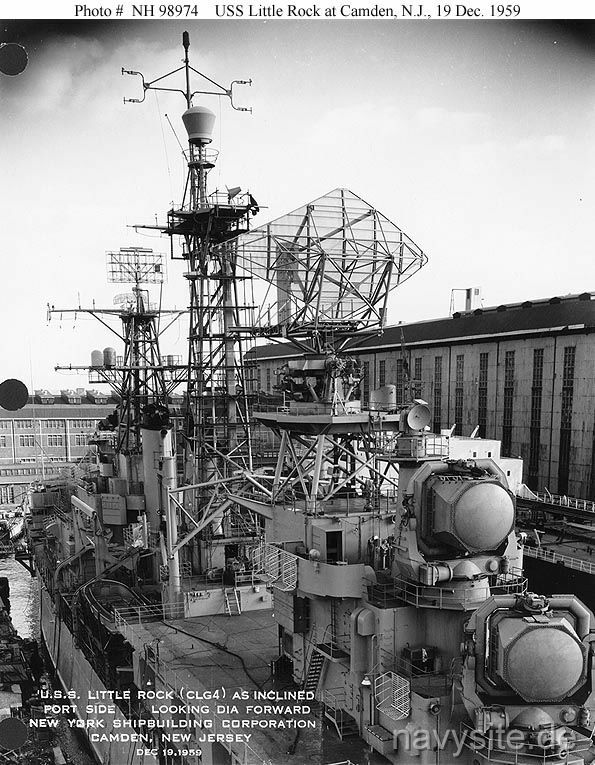 The AN/SPG-49 was an operating in C-band fire control radar for the U.S. Navy's RIM-8 Talos shipboard air defense systems. It used a three-gimbal system – azimuth, elevation, and traverse – which allowed scanning and tracking throughout the hemisphere. 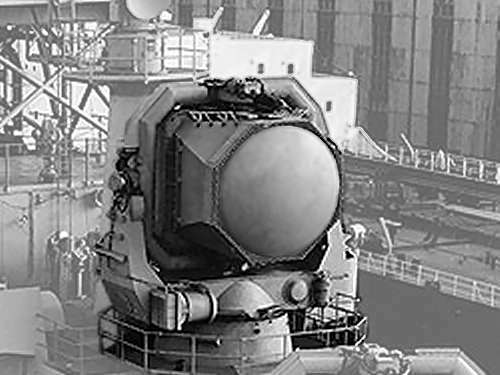 The AN/SPG-49 combined a monopulse tracking radar and a continuous wave illumination radar into the one antenna. The radar transmitters power for the aquisition and tracking radar was generated by a liquid cooled klystron and were located inside the antenna itself. The AN/SPG-49 performed three functions. During target acquisition the antenna radiated 3 MW pulsed bearing and azimuth sweeps to determine range, bearing and altitude of a target. The antenna consists of a Foster Scanner feeding a folded reflector and utilizes a lens aperture with an overall diameter of 110 inch and a fiberglass radome. After the target had been acquired the antenna switched to a pulsed 3 MW narrow beam tracking radar using a monopulse horn. When a missile closed range to a target the antenna also radiated a 5 kW continuous wave illumination beam that carried target identification information for the missile to home on. The AN/SPG-49 was designed in 1947, and became obsolete with Talos at the end of 1979.